Rin in an outfit to look like Sif, who has become her good friend. The powerful performances this outfit helps create really draws crowds. 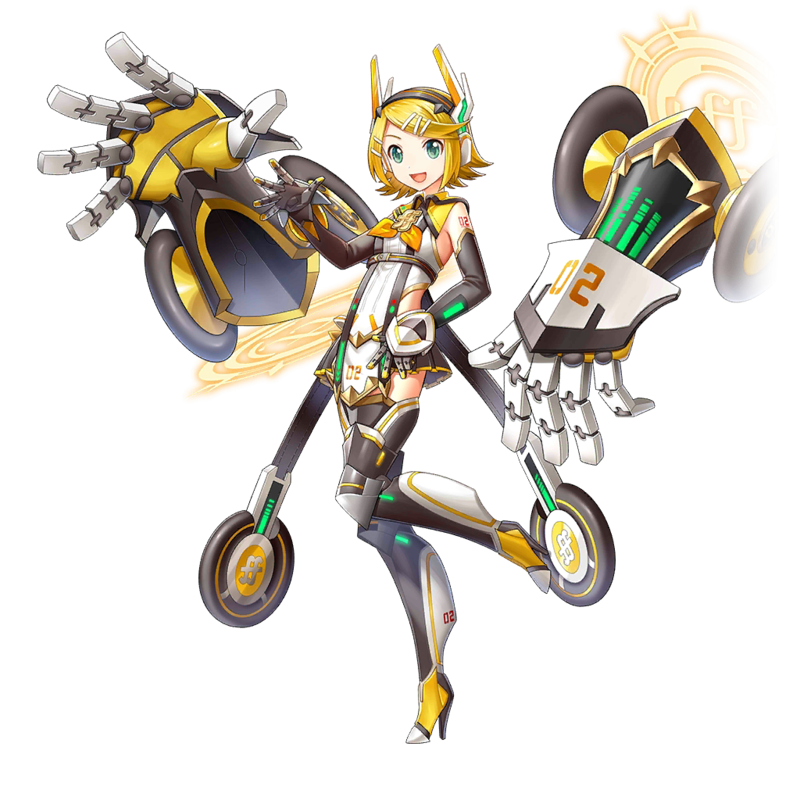 Is Mecha-Rin supposed to be a base 2* (like Hachune Miku)? Please clarify. Thanks! 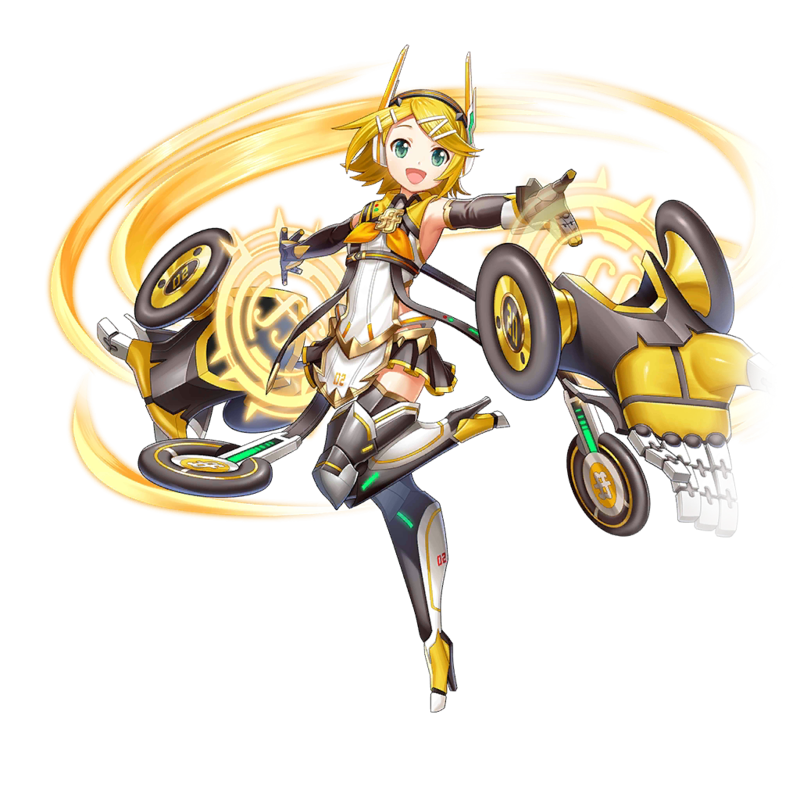 From what I know, she is obtained as a 2* from the login bonus (On the first day), and she can be promoted by getting her souls from the collab cards. I hope this helped, and I'm not completely sure, so don't take it too seriously.